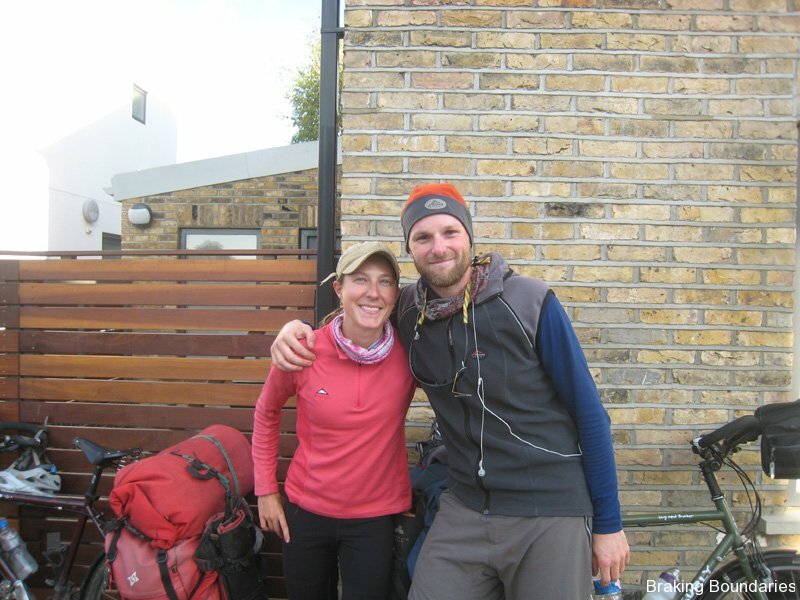 On October the 15th 2009, after completing a whopping 14,000 km Katie and I rolled into London with a sense of emptiness and a loss of what to do next. Our life on the road had all of a sudden come to an end. No more setting up camp, cooking and living in the wild. Thoughts of not wanting to the trip to be over collided with feelings of happiness and a huge sense of accomplishment. While we had completed our goal of making it to the UK, Katie and I both agreed that a sense of closure was missing from our trip and reuniting our teamie Tom who had left us in Istanbul for a faster route through Europe was needed. He was greatly missed and often talked about as we traversed mountains in Kosovo and played in the Swiss Alps It seemed only right that we meet up one last time before the 3 of us departed for different lives and countries. So off to Ireland we went. Katie by car with her parents who had come over to the UK to meet her at the end of the trip and me on a £10.99 return flight to Belfast that I had managed to book a few weeks in advance. It wasn’t until we were all sitting around at Tom’s house in Maghera, Northern Ireland watching videos of the adventure and recalling stories for Katie and Tom’s parents that it really felt like our time as “Team BB” had come to an end, and what a better way to do it. 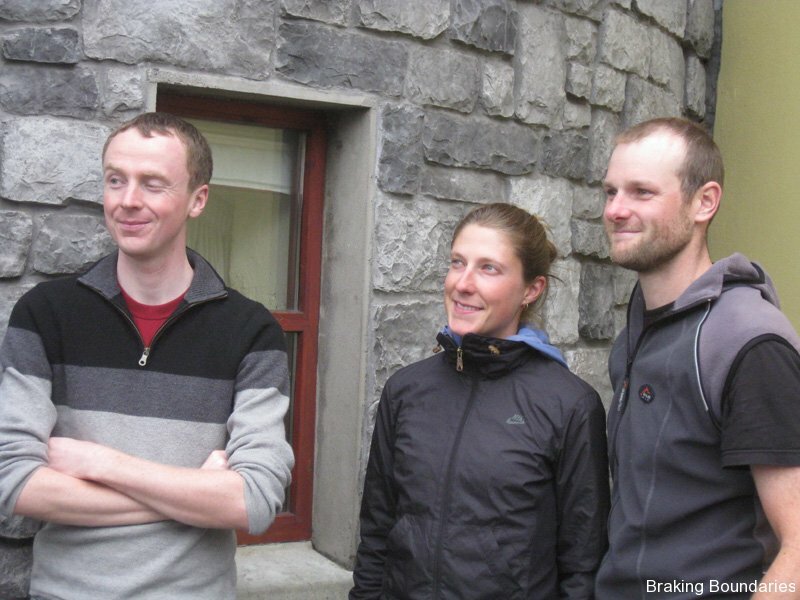 Now that goodbyes have been said you may wondering what is next for the three slightly insane cyclists that left South Korea six months ago on a mission to have an adventure of a lifetime. Tom is heading back to South Korea this week with plans to live in Bucheon, but I think the only real thing on his mind right now is Ruth his lovely and very patient girlfriend. Katie, after traveling around the UK is heading back to the U.S where I am sure she will dream up yet another adventure. As for myself. It has been a week since I last rode a fully loaded bike and serious withdrawals are setting in. The lifestyle of living from day to day, not knowing what adventure lies around the corner is a life I am not quite willing to let go of yet, so planning new adventures is high on my list of things to do. For now however I too am returning to South Korea for a couple of weeks to see friends before taking some time out to visit my family in New Zealand and have a much needed summer Xmas and New Years. As for Braking Boundaries the website, life goes on. There are still a lot of adventures and stories still to be written about, as well as photos and videos that have yet to be posted, so if you have been a fan of following our adventure stay tuned, more stories from the road are still on the way. Also with the thousands of photos, hundreds of videos and my own personal audio diary I plan to start a complete day-by-day write-up of the adventure that took us through 21 countries, over mountain passes as high as 3000 meters and desert heats that could fry an egg.